This is a Sponsored post written by me on behalf of GiftCard.com for SocialSpark. All opinions are 100% mine. During the Holidays, my time can be so stretched trying to organize and plan gifts!! I’m always worried that I’ll accidentally leave someone off my gift list. Or even worse that they won’t even like the gift I got them! Plus, we have a lot of friends and family that live out of state. And have you seen shipping rates these days? Sheesh! It can almost double the cost of the entire gift! So, what is a girl to do? Lucky for me, GiftCard.com came to my rescue! Giftcard.com has over 100 different store gift card choices. And if you still can’t decide, you can send a Visa Gift Card. It’s just like giving cash, but much safer and easier than actually putting cash in an envelope. 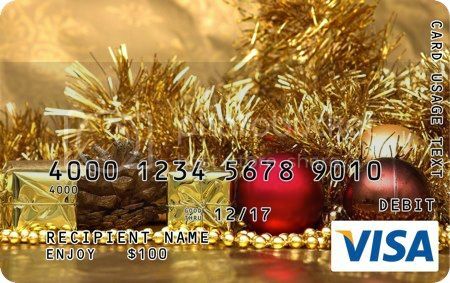 GiftCard.com has over 1000 different Visa Gift Card designs to choos from. If you want to add a really personal touch, you can even upload a photo and design your own unique Visa Gift Card. How fun is that? So, do you want to see what gift cards are on my “gifting” list? Disney for my older-younger sister. We used to save our pennies growing up just to spend them at The Disney Store! Macy’s for my younger-younger sister. Not only because her name actually is Macy, but she is a total fashionista! She’ll love getting this! For my sweet mom: Spa Finder. She works so hard for everyone else, she deserves to be spoiled, too! And for my “hard to buy for” dad – a Visa Gift Card. That way I can be sure he gets something he loves! The only stipulation – he’s not allowed to spend in on something practical, like gas for his car. Did you know that you can also follow GiftCard.com on Twitter? Yep! Their handle is @GiftCardLab. So, what’s your favorite GiftCard.com gift card? Leave me a comment, I would love to know! Always enjoy your blog posts! !